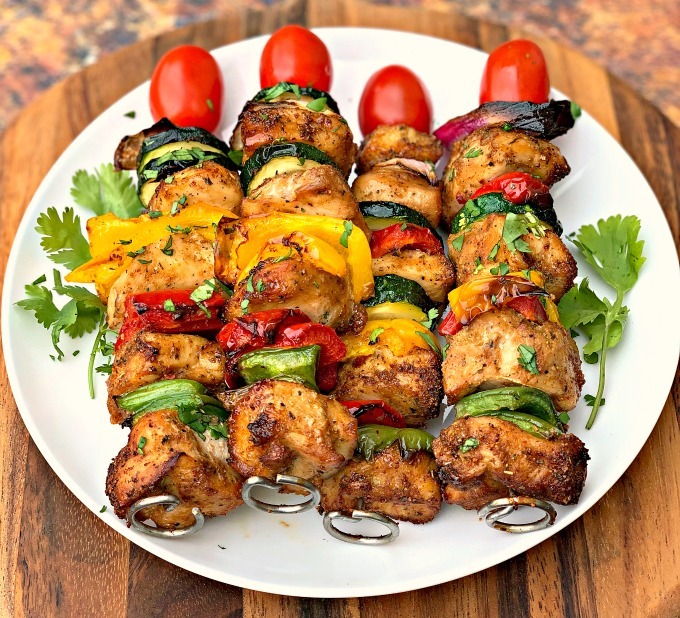 Easy, Air Fryer Grilled Chicken Kebabs or kabobs is a quick recipe that uses chicken breasts and fresh veggies to create a healthy meal served on BBQ skewers. This post will show you how to make tender and juicy grilled chicken in the air fryer. With only a few net carbs, this recipe is also keto and low-carb. Is Air Fried Chicken Healthy? You can make grilled chicken a number of ways in the air fryer. The key really lies in the seasoning. 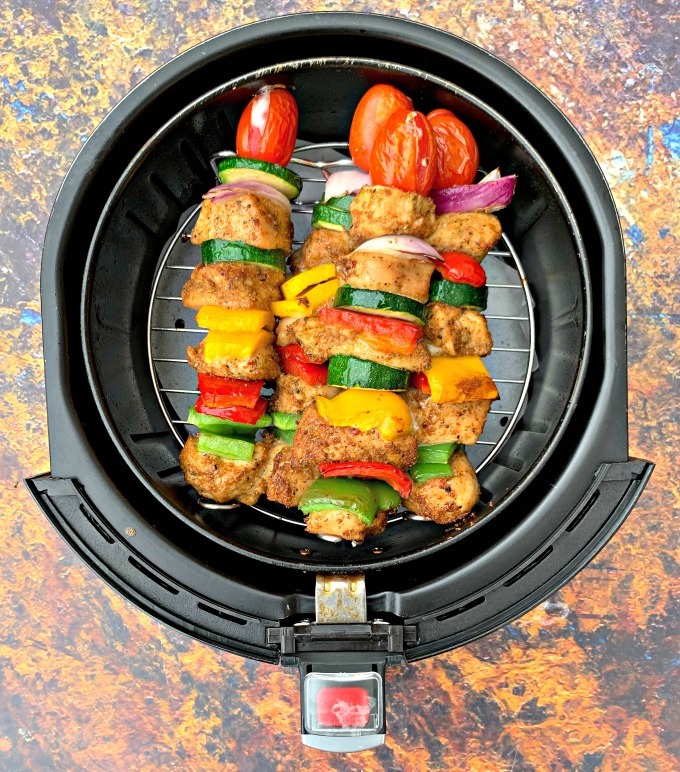 You will also need an air fryer grilling rack with skewers. 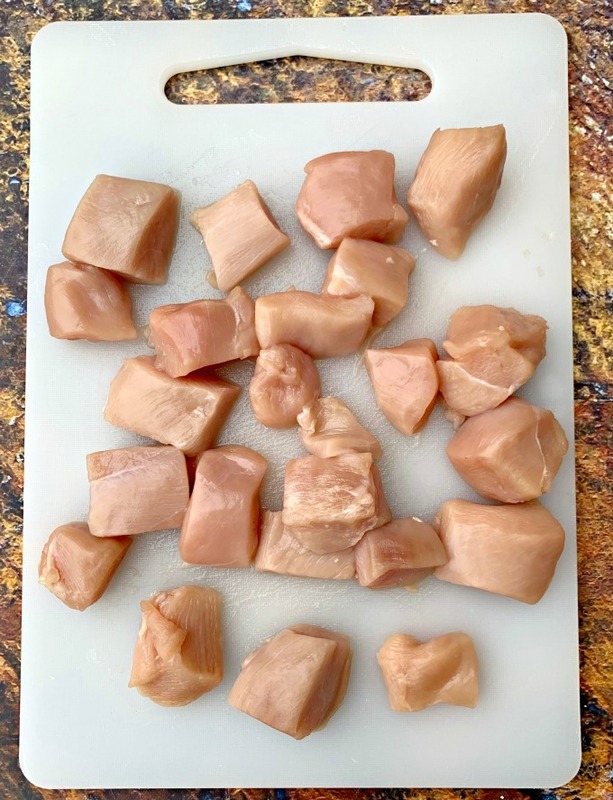 Cut the chicken breasts into 1-inch cubes. 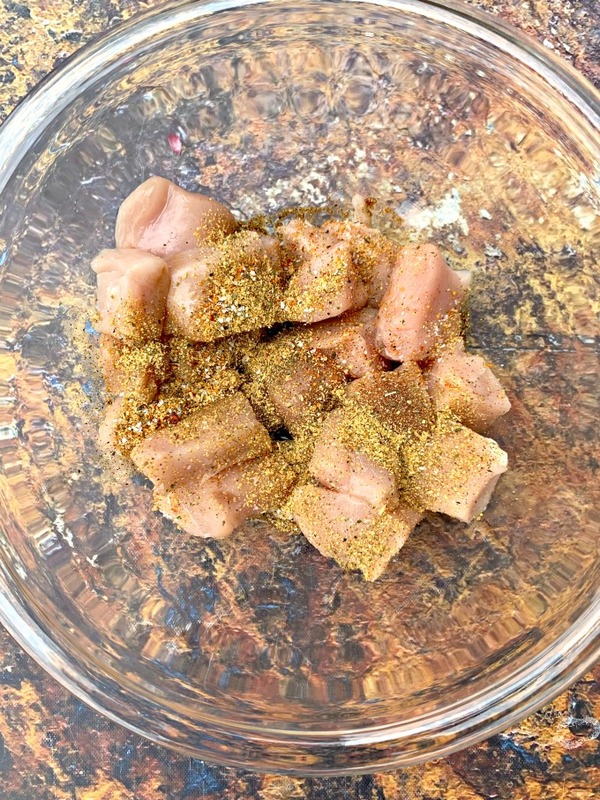 Season and marinate the chicken. 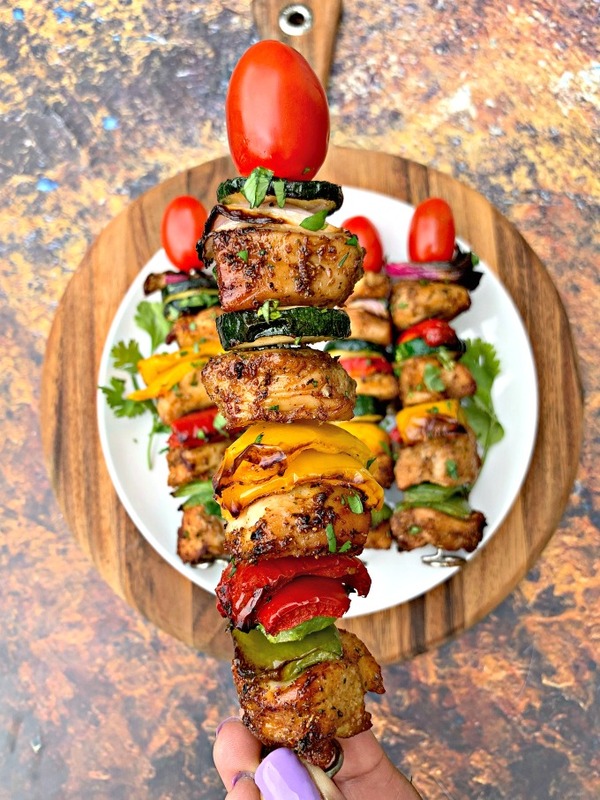 Thread the chicken onto the skewers with veggies. I cook for 18-22 minutes until the temperature reaches an internal temperature of 165 degrees. I cook the grilled chicken at 350 degrees. When I fry chicken in my air fryer, I usually use 400 degrees. For this recipe that will result in the veggies becoming overcooked. Can You Stack Grilled Chicken in the Air Fryer? I don’t recommend stacking the chicken. I had one kebab that was slightly stacked, but I don’t recommend anything beyond that. It will take the chicken longer to cook if stacked. If needed, cook in batches. 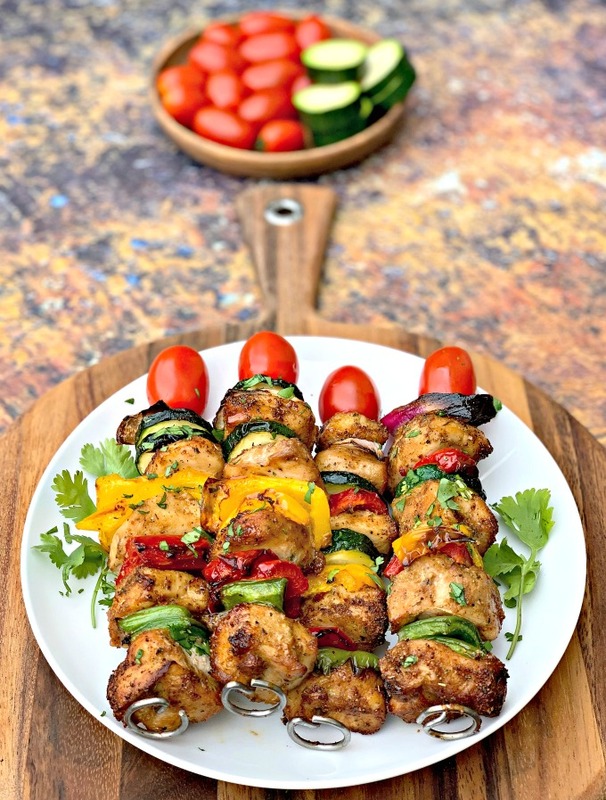 Can You Make Chicken Kebabs in Advance? Can You Put Frozen Chicken in the Air Fryer? Yes, you can make kebabs in advance and freeze them. If cooking from frozen add an additional 8-10 minutes of cook time. Check out more Tips on How to Freeze Kebabs. 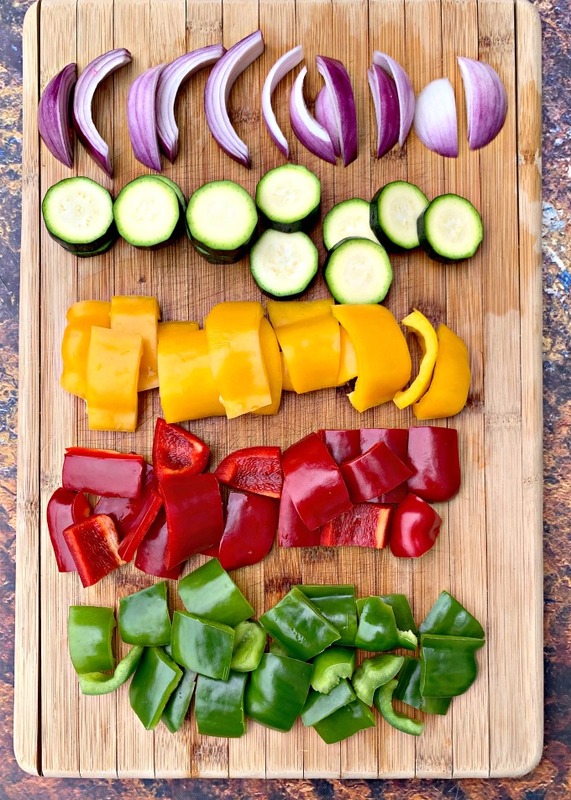 Try to cut your meat and veggies into the same sizes. Marinating the chicken in advance is recommended. I like to spray olive oil onto the chicken before cooking. These helps the chicken stay juicy. 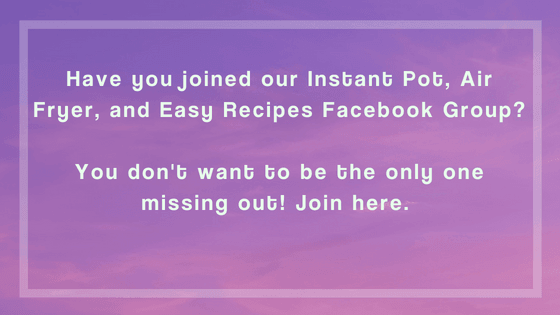 Pair this air fryer grilled chicken with Instant Pot Potato Salad, Air Fryer Asparagus, Air Fryer Baked Potatoes, Air Fryer Homemade French Fries or Air Fryer Baked Sweet Potatoes. 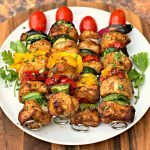 Easy, Air Fryer Grilled Chicken Kebabs or kabobs is a quick recipe that uses chicken breasts and fresh veggies to create a healthy meal served on BBQ skewers. This post will show you how to make tender and juicy grilled chicken in the air fryer. With only a few net carbs this recipe is also keto and low-carb. Marinating the chicken is preferred but not required. 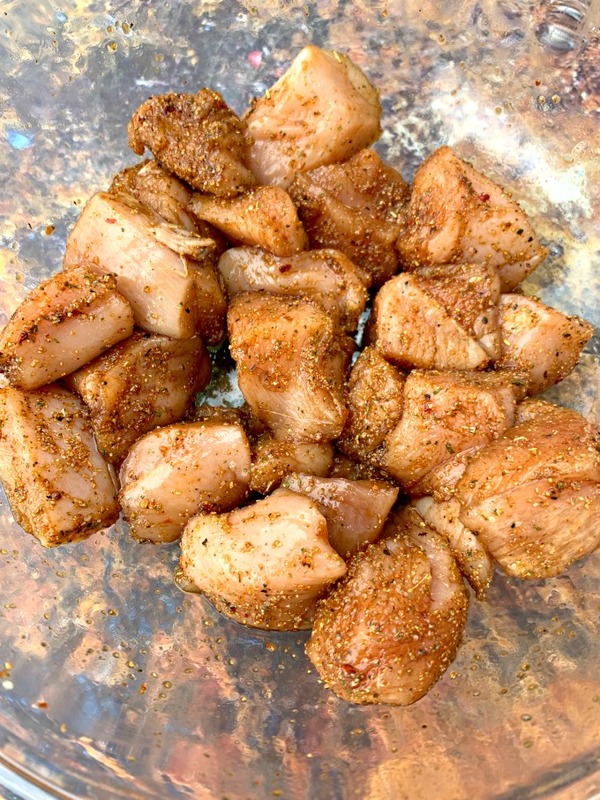 If you plan to marinate the chicken, place the chicken in a sealable plastic bag or large bowl with the soy sauce, chicken seasoning, BBQ seasoning, and salt and pepper to taste. Shake the bag to ensure the chicken is evenly coated and seasoning. If using a bowl, cover the bowl. Marinate for at least one hour to overnight in the refrigerator. Remove the chicken and thread it onto a skewer. Your hands will get very messy during this process. You may want to have a towel close by to wipe your hands. Layer the chicken with the peppers, zucchini, and onions. Top each skewer with a grape tomato at the top. I sometimes like my grape tomato to be served cooked and soft. It may be harder to get the skewers to fit into your air fryer with the tomato (depending on the brand). You can always add the tomato after the chicken and veggies have finished cooking. Spray the chicken and veggies with cooking oil (I use olive oil). This is optional and yields juicy chicken. I like to line the air fryer with parchment paper liners for easy clean up. Place the skewers on a grill rack in the air fryer basket. Cook for 10 minutes on 350 degrees. Open the air fryer and flip the skewers. Cook for an additional 7-10 minutes until the chicken reaches an internal temperature of 165 degrees. Use a meat thermometer to test the inside of one of the pieces of chicken. 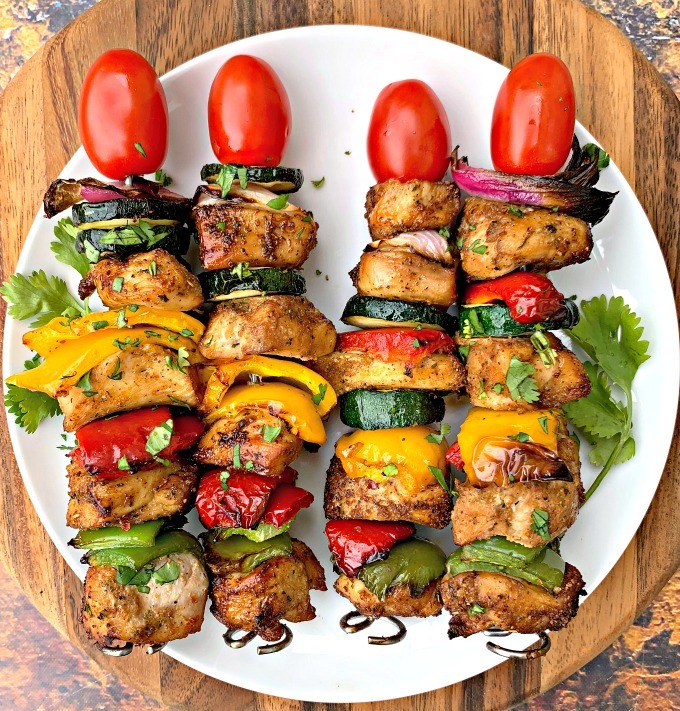 This recipe will make 4-5 chicken kebabs. Soy sauce is used in this recipe to make the chicken moist and juicy and to add flavor. I have not tested this recipe without using the grill rack. I love how the air fryer cooks everything so quickly and crispy! Delish! These were so tasty! I love that I now have another go-to airy fryer recipe!